A guest blog by Cheyenne Bunsie, Insight Exec at Immediate Media. Launched in April, PAMCo is the publishing industry’s response to the evolving digital landscape. The way we consume media has changed dramatically in less than a decade, and despite an attempt at updating in 2012 with NRS PADD, publishers have long faced accusations of overblown and outdated reach figures that still see consumers as a predominantly print only audience. For the last 4 years, Newsworks, the PPA and the IPA have been working together on a developing a new currency to allow multi-platform audience measurement that can be trusted. PAMCo data operates on a large scale – daily adult reach of 30m across all published media; rising to a monthly reach of 48m. The influence of social channels is expanding, along with the issues of its regulation. It’s now more important than ever to provide advertisers with clear, robust figures that cut through the muddle that digital reach has been previously. PAMCo is crucial in allowing publishers to fight agency preconceptions and show an all-encompassing picture of audience readership. Here is a quick, easy breakdown of what you need to know about the industry’s most important recent development; and how it changes things for your media sales team. 35,000 face-to-face interviews per year to collect print readership and demographic data. A digital panel of around 5,000 participants. The participants have a specially designed App installed on all their devices to track their behaviour for 28 consecutive days. The data is then used to calculate the duplication between print and online readership. ComScore data to provide digital audience estimates. PAMCo uses a brand first approach while NRS used print-first approach. With NRS respondents were asked about their print readership first, and later in the survey they were asked about their online behaviour. In PAMCo respondents are asked about their engagement at a brand level, and later in the survey they are asked how and where they read it. It’s more natural for respondents to focus on brand level engagement first rather than print readership first. The print-first approach caused confusion between print and digital readership which led to over-estimation of print readership for some brands. A brand-first methodology reduces the potential for inaccurate over claims for print for brands which have only in fact been read on-screen. PAMCo uses full colour stylised front covers, including non- date specific front covers for the magazines and newspaper supplements. NRS was using black & white prompts and no front covers. 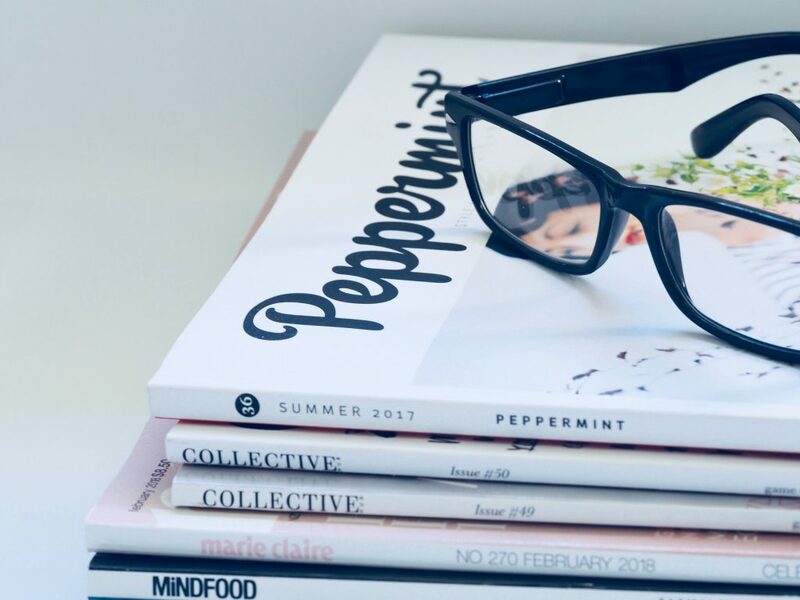 This helps to prompt the brand specific questions, as these emphasise the physical nature of print magazines, relative to other ways of accessing the same content. PAMCo includes mobile traffic – this is key in reflecting the reality of how we consume media today and is a real game changer. So, what does that mean for publishers media sales teams? Improved estimates of total brand reach – When dealing with agencies and clients, you’ll be able to be more exact than ever before and give a real picture of the audience your partnership will reach. New engagement data– New metrics have been added to include how long respondents spend reading, and statements such as “I trust what I read”. These metrics can help illustrate the brand positioning and authority of your titles, and be just what you need to prove why your brand should be added to a schedule. An increased number of brands reported – Providing a clearer picture of the media landscape you’ll be operating in. The PAMCo website allows you to carry out quick data searches and now has the second quarter release of data covering the period April 2017 to March 2018 and incorporating February 2018 comScore data. PAMCo is a large step in retooling the publishing industry to reflect the media habits of today’s audience. Get your sales team up to speed on these changes and you’ll be able to approach agencies with even more confidence.